On the days leading up to the photo shoot, take some time to consider your wardrobe and decide what everyone will be wearing for the family pictures. Having worked with lots of families, I find these top tips to be most helpful. Consider your surroundings – if we are shooting in green space, a green top could easily turn into camouflage! Clashing colours between you all – i.e. pinks and reds etc. Try and co-ordinate, not match – pick some colours and choose clothes that will fit a colour scheme. Remember that these family pictures could be on your wall for years to come, so natural, organic and classic styles are best suited. When talking about colours, complementary actually means opposites. Every colour has a complimentary colour. 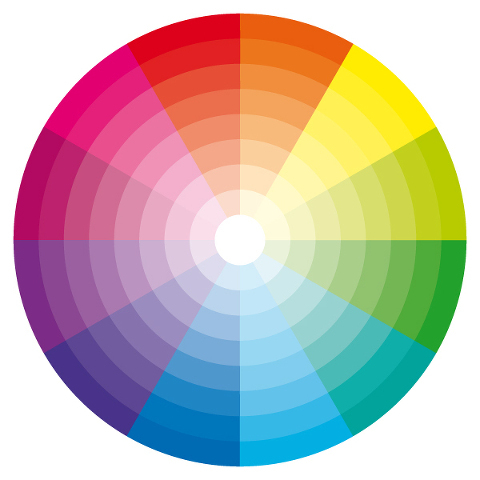 It’s just whatever is on the opposite side of the colour wheel. When I choose clothing for a shoot, I think about the main colour in the shot (i.e. purple lavender) and then build clothing that complements the main scene. Different shades of the same colour almost always look good together as well as keeping pastels with pastels, earth tones with earth tones and jewel tones with jewel tones etc. Neutrals in general (i.e. navy, khaki, grey, denim, gold, silver, cream etc.) are great for colour mixing as well. Colour props can be introduced quite easily with accessories too – so think hair accessories, shrugs and scarfs – the list is endless. I always encourage bringing accessories and props – which not only add to the outfit but can be lots of fun to use in photos. I also have a selection of photographic props, so should you wish me to bring one or two along, please request this ahead of your shoot. Styling props for your family pictures with Amanda Powell Photography. Think about the elements too – remember to bring wellies and hats in the winter and suncream and water for when it’s really hot in the summer.